Rewards Canada: July 25 Update: Germanwings becomes Aeroplan's latest airline partner, 100 Bonus Air Miles at Safeway and more! 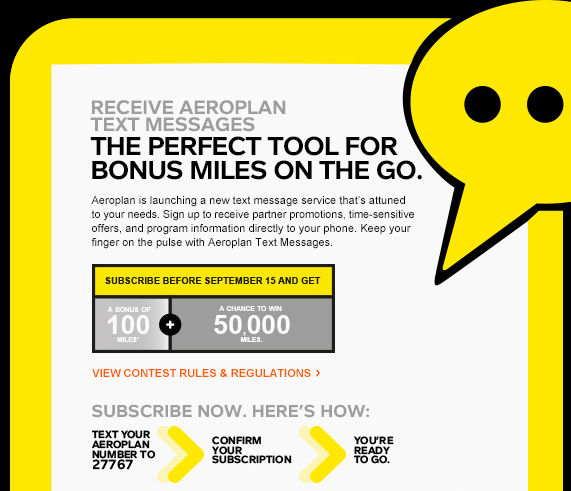 July 25 Update: Germanwings becomes Aeroplan's latest airline partner, 100 Bonus Air Miles at Safeway and more! Our first and last daily update for this week since we were on vacation and always try to disconnect as much as possible while our family travels! Air Miles members can earn 100 Bonus Reward Miles for purchases of $100 or more at Safeway until July 31st. Get the coupon here.